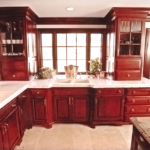 The Washington Line is our top of the line cabinetry. We start with only the finest grades of hardwoods and plywoods. We use top of the line hardware components from Blum hinges to Century components from Millersburg, Ohio. We use dovetailed solid wood drawer boxes. We finish the product with a four coat process. 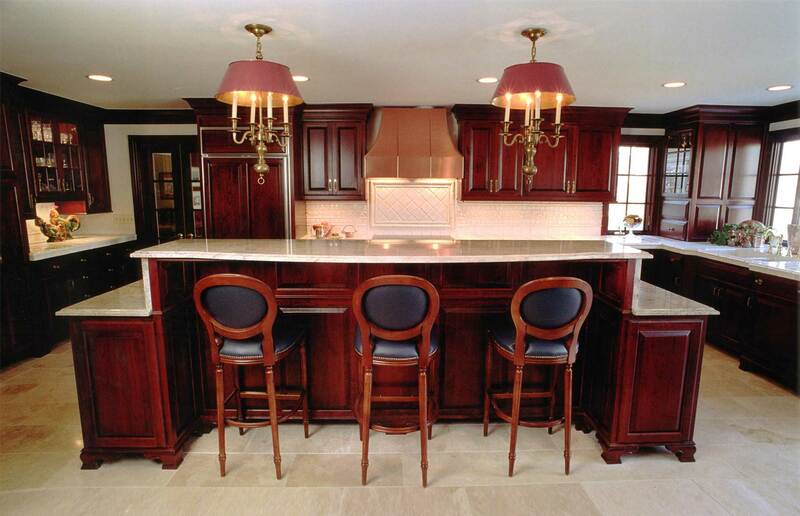 This particular Washington Line is one of our grandest projects, Island actually design by a dentist in Upper Arlington. He made a model of it in balsa wood. We then made the final cabinet in cherry woods. The doors are a “true” raised panel design. Notice the carved Queen Anne style feet of cabinetry. 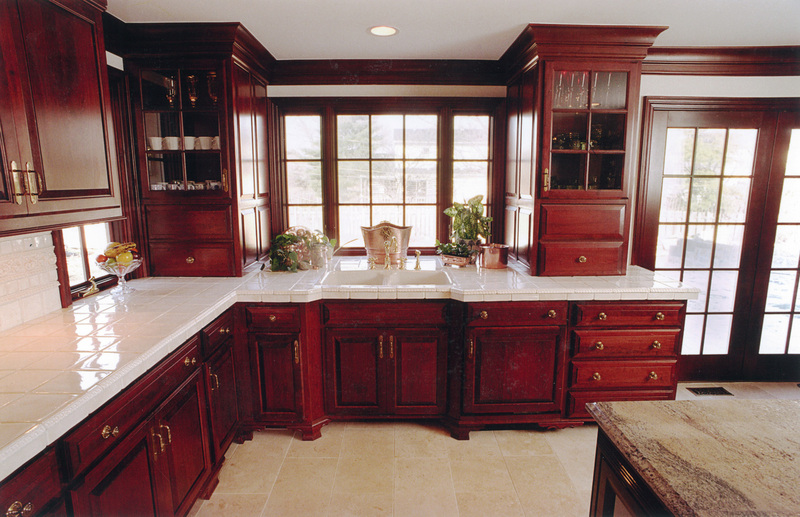 The Franklin Line is also our top of the line cabinetry with a modern approach. 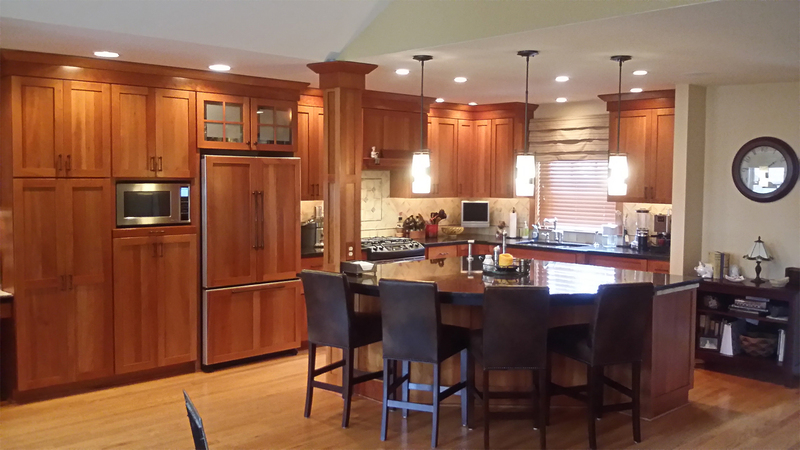 A combination of woods and finishes complete this kitchen. 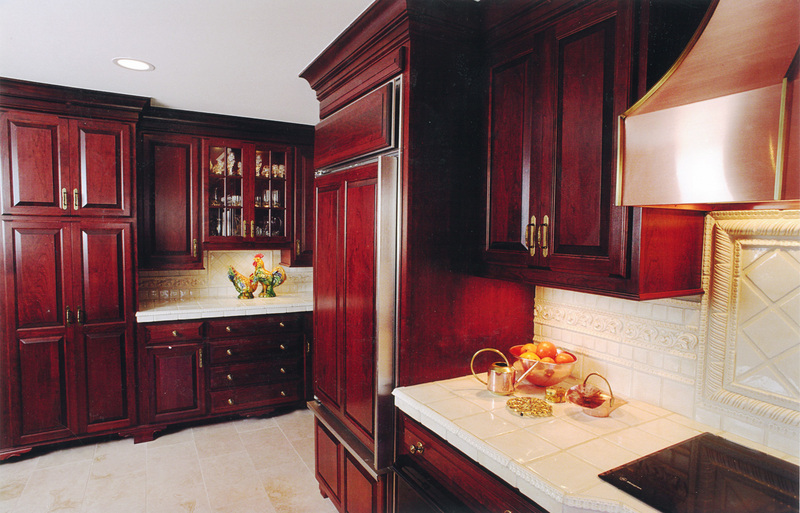 Maple painted with glazes and cherry cabinetry stained with glaze finish. The Zang Company was established in 1990 by Charles Zang. Charle’s woodworking ability has been passed down through his family for generations.